How to change the jvm arguments in Railo Tomcat package installers | It is what it is, sometimes it helps. The new Railo installers are fantastic Jordan has done a great job. I have a small VPS running demos for this blog it's running Railo. It's mostly for demos but also has a few small hobby sites. 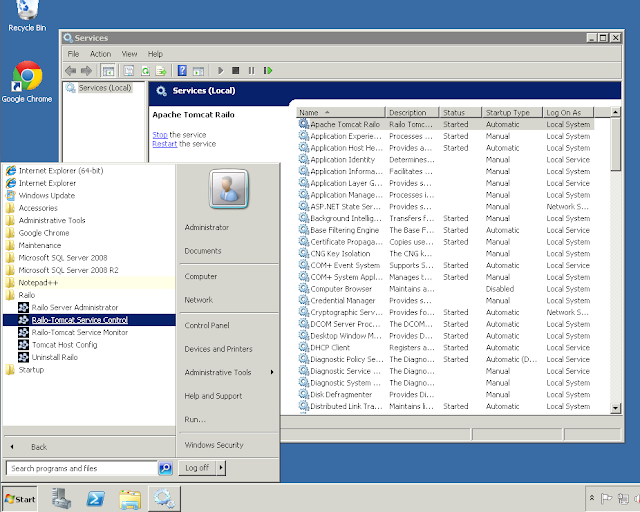 I really don't need to allocate 512 to Railo I wanted to drop it to 256mb ram ( the VPS in Windows server 2008 r2 with only 512 ram which also runs .NET 4 and SQL Server Express ). I search for a config file but there was none. So here is how to change your jvm args and lower or raise the amount of ram you allocate to tomcat for Railo. Click Start, Navagate to "Railo", click "Railo-Tomcat Servcice Control"
This will allow you to edit the options on the service. Then add jvm args and adjust the memory. 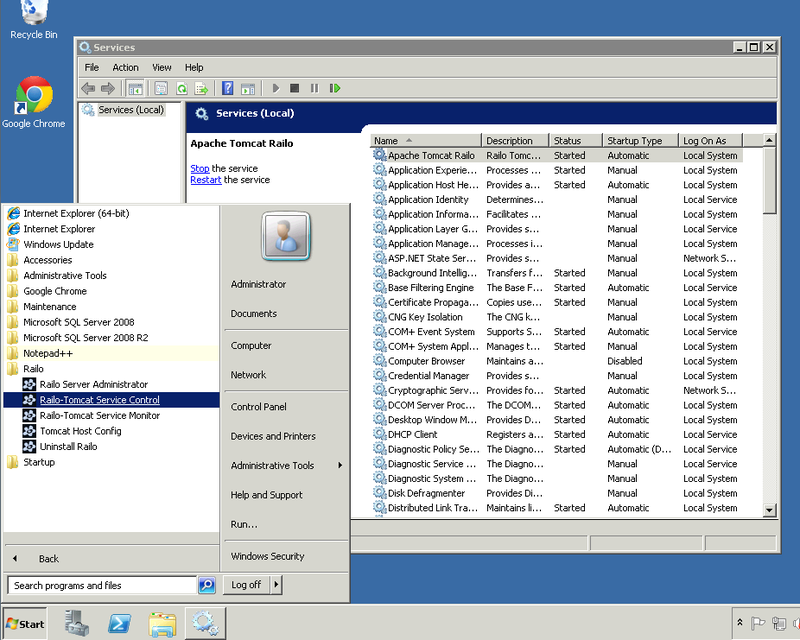 Just a "gotcha" I came across here - UAC can block access to configure the service, depending on your setup. This often presents itself as an error message such as "Unable to open Tomcat service" (even though the Windows service name may be Apache Tomcat Railo for example). This just means you need to run the config tool with elevated privileges, ie right-click and "Run As Administrator" or edit the shortcut to run as admin user.